We have been working in wine around the world for the past 13 years, travelling to all corners to learn, understand and appreciate great wine. We have alongside many great winemakers who have influenced our ideas on style and taste. After many years of dreaming, considering and throwing ideas out there, Scout Wines was officially launched in 2017. Scout the name takes inspiration from Jean Louis ‘Scout’ Finch, the narrator and protagonist of Harper Lee’s To Kill a Mockingbird. Scout is both a questioner and an observer, something we believe important at Scout Wines. Throughout our winemaking careers we have questioned all aspects of grape growing and winemaking, challenging ideas and practices, but also observing how wines are crafted and perfected. Scout Wines is about putting these observations and ideas into practice. With a love for science and the outdoors I began to explore all options and found myself chatting to Invercargill’s only other Viticultural graduate. 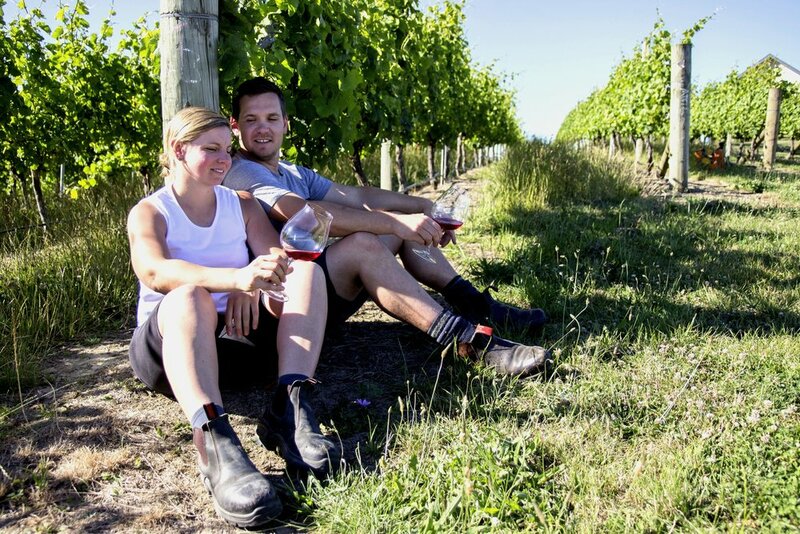 After a year of BSc and LLB, I left Canterbury University to pursue a career in winemaking. There was no turning back, and I have no regrets! Sneaking down into Grandpas cellar to hide amongst the dusty boxes during epic games of hide and seek was probably my first interaction with wine - and what would become my passion going forward. Always interested in tastes and smell, I was hooked on the idea of winemaking at an early age. This led to studying Oenology at Adelaide Uni, graduating as dux of 2010 year, vintages around Australia, NZ and the world. Wine has taken me to so many places and introduced me to amazing people (first and foremost being Sarah ;)). My favourite part of winemaking is how a glass of wine has a the ability to transport you to a place, a time and memory of the people around you.